Can you recommend a resource for getting a couch made with your fabric? is this a UV resistant fabric? I am very pleased with how my vanity chair turned out. It really tied together my beach themed bathroom remodel perfectly. 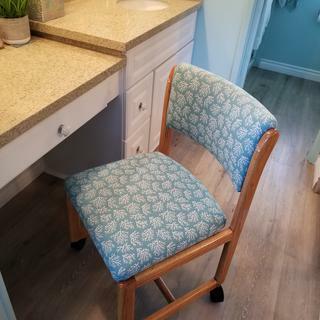 My beach themed bathroom came together beautifully with my reupholstered vanity chair. Love it!